Posted November 3rd, 2005 by Ms. Jen & filed under ah, ireland. Thurs. 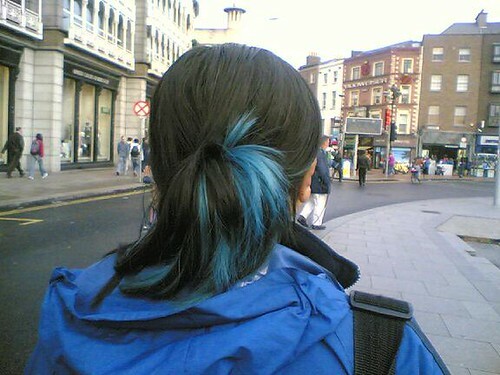 11.03.05 – Ruth’s hair. 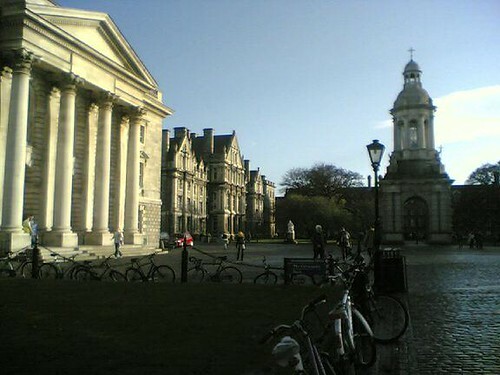 Posted November 2nd, 2005 by Ms. Jen & filed under ah, ireland. Wed. 11.02.05 – This plane tree (aka sycamore) is one of the best trees on campus, it reminds me of the sycamores at John and Catherine’s yard. 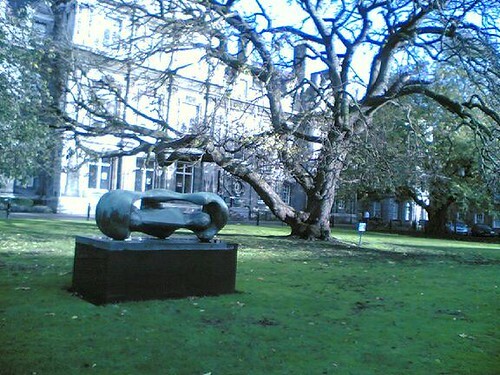 I just noticed the sculpture for the first time today. Wed. 11.02.05 – On my way to class, late of course, I decided that I had to test my new moblogging ability in the beautiful morning sunshine. 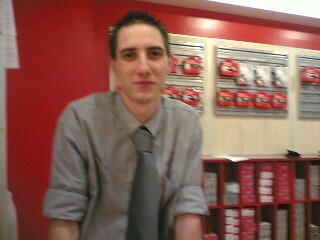 Tues. 11.01.05 – Nice Alex from South Africa wins for Vodafone employee of the month. And the only one in the last 35 days of my trying to get my moblogging from my phone working that has actually been helpful. If this MMS goes through to Flickr then… I am back!